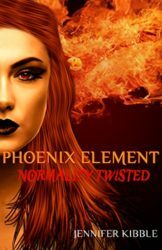 Jennifer Kibble is the author of the Phoenix Element series. There are three books in total so far and she hopes to write more. That is when she isn’t distracted by her “day job” as a cook. Or her cat Tidus who likes to jump onto the computer desk. Not to mention her dog Shepard who wants all the attention. But I digress: Phoenix Element! 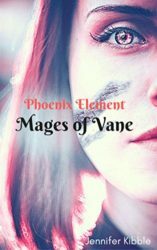 This is a young adult fantasy series with elements of magic, adventure, and super heroes. Think Harry Potter meets the Avengers. Wait, this is an author blurb, not a book blurb. Oops. Jennifer has been writing off and on, starting when she was in the fifth grade. 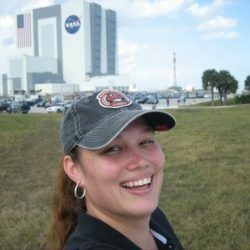 Jennifer didn’t start to get serious with her writing until witnessing the final launch of the space shuttle Discovery. Exploring the museum, and later on hearing the boom of a rocket stirred something within her. And here we are. You can find her here. Now… on to the six questions! If you have any questions of your own, please leave them in the comments, and hopefully Jennifer will drop by and answer them. Starting off with a hard question, are we? So, wow, after taking some time to think about the answer, I’m going to stick with the one that first came to me. And that is my asthma. I’ve had it since I was around twelve years old. The tightest, helplessness feeling of not being able to breath is in a way a metaphor for me trying to write. To express myself through my characters and in turn sharing it with the world. The anxiety of not knowing when an attack could occur versus will my readers like what I have written. Then the moment of clarity when a deep breath fills my lungs, knowing that I’ve actually accomplished my dream to write a book. Thankfully my asthma is currently under control but there were days that it was extremely rough. Going into more detail from my author blurb: I was standing in the Saturn V building at the Kennedy Space Center in Florida. I was part of a group of people selected from Twitter (then called NASA Tweet-up) to watch the final launch of the space shuttle Discovery (STS133). Circumstances caused my group to visit the Visitor Complex after hours. The stillness and history that was all around me caused my muse to come out and it told me to write again. Write for myself and then right for those who would read it. And that is what I did. My first drafts usually happen by pen and paper. I try to write whenever I have the time, so having a notebook handy is a must. When I don’t, I’ll take notes with my phone. I do write better when I have music playing in my ears and when I am alone. Music isn’t a distraction for me but my pets, other humans, and the internet are. Funny thing is, the book series that I want to see is being created into a movie: Dragonlance. I am worried that this movie will be bad however the man who is co-writing, Joe Manganiello, is a fan of Dragonlance as well as Dungeons and Dragons. This means that I am slightly less worried. The main books in the Dragonlance series were written by Margaret Weis and Tracy Hickman. I had the honor of meeting Tracy Hickman at a convention in Miami, Florida. Honestly I would rather see Dragonlance as a Netflix series, similar to Game of Thrones. I just hope this movie will capture the characters and their bond as the authors did. I haven’t written a poem in a while. I used to write heaps when I was younger. In fact, I made a collection of those poems and created a book called Donkey and Dragons, which is on Amazon. It is raw and reflects a lot of darker feelings that most teenagers have. And I’m off topic, right? I am not trying to avoid the task at hand, mind you. It brings life and death. Be the hero or be the villain. How will this story end? And I thought the first question was the hard one. Okay, so here’s the story that leads up to Earth finding about magic being real and the emergence of super heroes. 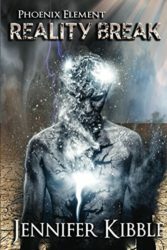 To get there, you’ll read about a young woman who discovers her powers, meets an alien from another plane of existence, and another alien who wants to bring an end to reality.